Juniors Printed Bib with Press Button Closure | Multicolour | Helps to prevent baby clothes from getting stains. 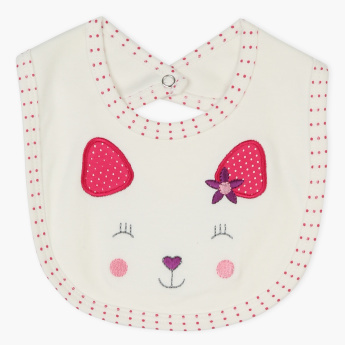 Easy to wear, this printed bib comes with a press button closure. Crafted from soft fabric, this bib helps to keep stains away from your baby’s clothes and lends utmost comfort. Feature 1 : Helps to prevent baby clothes from getting stains.